If you’re like me, you may want to get your holiday shopping done online, support small, local business and help tiny house people who are self-employed make a little extra this holiday season. 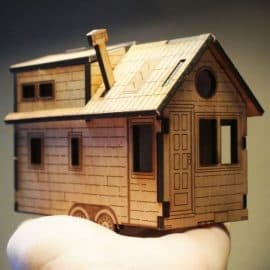 It’s a win-win to get a tiny house themed gift for you loved one and also support some really cool, independent entrepreneurs as well. 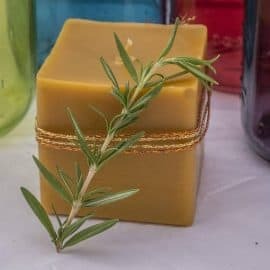 I recently asked on Facebook for a list of favorite tiny house products (made and sold by those living in tiny houses) that would make good gifts. Without further ado, here’s the list! 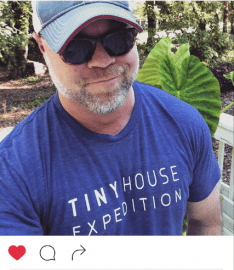 Tiny House Expedition makes so seriously cool, super soft and comfy T-shirts. These have got to be some the best tiny house T’s out there. 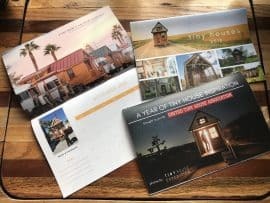 The 2018 Tiny House Calendar is full of Tiny House inspiration brought to you by Tiny House Expedition and the United Tiny House Association. 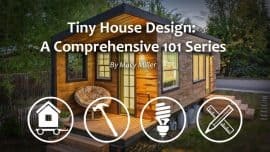 Macy Miller’s Online Tiny House Courses are a very good price and would make a great gift for anyone wanting to learn more about tiny houses. 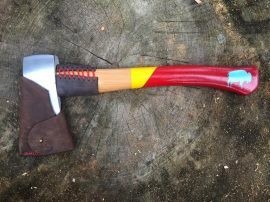 Cody Hennigan of Best Little House In Texas sells the coolest painted hatchets and other custom leather products. Check them out! 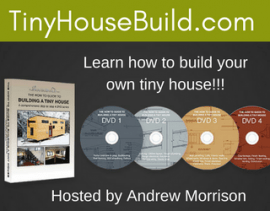 Andrew and Gabriella Morrison of hOMe (TinyHouseBuild.com) offer a fantastic DVD course on how to build a tiny house. They are the best! 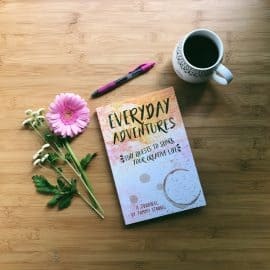 Tammy Strobel of Rowdy Kittens, author of You Can Buy Happiness (and it’s Cheap) offers creativity and simplification books and courses to help you lead a happy life. Andrea Fender amazingly runs an apothecary out of her tiny house and sells her products on Etsy. Very cool! 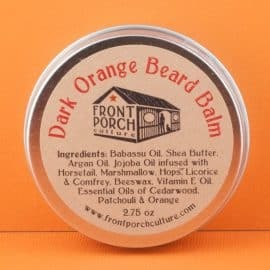 Sarah of Front Porch Culture sells amazing, natural personal care products on Etsy, all made from her tiny house. Get some! REUSE! 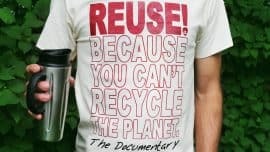 Because You Can’t Recycle The Planet is a documentary that documents Alex Eaves’ cross-country adventure discovering sustainable solutions to our overconsumption and waste problems. Rent or watch this holiday! 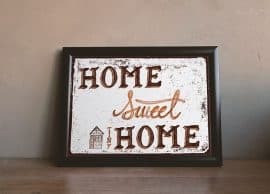 Another creation by a tiny houser, this “Home Sweet Home” tiny house print by Happy Creations would make a great holiday gift. Tiny On! 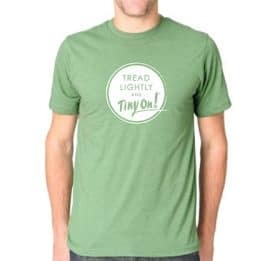 sells some awesome “Tread Lightly” T-shirts. I have one myself and love it!